“The lowest price we’ve seen yet for [INSERT SMART SPEAKER BRAND NAME HERE].” It appears all online media publications use the same headline writers. Just for fun, we used the headline too this morning to see how much traffic it would drive. We were looking globally at smart speaker discounts anyway. You may have been taken in by our headline and even found some of the information valuable or purchased a product as result. Thank you for joining our social experiment. However, there is a bigger story here is how retailers and by proxy consumers view smart speakers as a product category. In case you thought smart speakers would fade away as just another fad, you might note that retailers don’t share your skepticism. Discounts on smart speakers and their new cousins, smart displays, are often among the lead items for 2018 Black Friday promoted discounts. This is significant because Black Friday is about one thing for most retailers: getting shoppers into the store. The discounts are a method of driving foot traffic where retailers hope consumers will purchase their desired items on promotion and then stick around to buy a few more products they didn’t know they needed for their gift list. If they get this wrong, there are very real consequences. 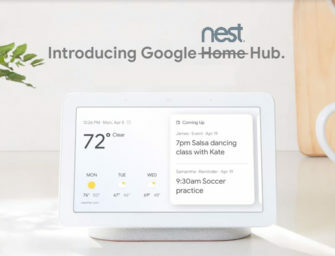 There are many more examples available, but the above images depict commitment of advertising space to smart speakers and smart displays and show confidence about the drawing power of the product categories. This is true in spite of the fact that the leading smart speaker device makers, Amazon and Google, tend to have the same deals listed on their own websites. Consumers can get these discounts online with free shipping, but retailers believe the deals can still lure shoppers to the stores on their biggest sales weekend of the year. Retailer confidence is likely founded on several data points. First, they can see what is selling in their stores outside of holiday shopping. Second, they can see what their competitors are doing and are loathe to cede a hot product category that might mean missing out on shopper foot traffic. Third, there are not a lot of other obvious new product categories to focus consumer attention. Finally, market data show continued strong consumer demand. Canalys data for Q3 2018 reported global smart speaker sales of 19.7 million. That figure was roughly the same as Q4 2017, more than double Q3 2017 and 17% higher than Q2 2018. Canalys estimates that 45 million devices have been sold thus far in 2018 and another 30 million will be purchased in Q4. The key question is whether the category will slow down as we move from early adopters to mainstream consumers as the primary device buyers. So far, demand has remained robust. It is clear that Amazon and Google smart speakers are selling well, but the popularity of third-party smart speakers is less clear. Amazon and Google dominate global smart speaker sales as per Canalys and Voicebot data. Third-party smart speakers command 11.3% of the U.S. installed user base and were responsible for 17.4% of Q3 unit sales. However, most of that is outside the United States and Western Europe where Amazon and Google are strongest. In addition, many third-party smart speaker makers appear determined to sell off existing inventory. The Harman Kardon Invoke with Cortana on board debuted last year at $199 and is currently selling for less than $50. The Insignia smart speaker clock radio with Google Assistant was originally listed at $150 and is now just $30. JBL’s Link 20 and Link 300 are both 50% off at $100 and $125 respectively. The third-party model that is showing the least amount of discounting is Sonos One with Amazon Alexa. Amazon and Google are discounting as well, sometimes as much as 50%. However, we know that their sales unit volume is strong and that they have other ways to generate income from smart speakers beyond device sales. The companies that are trying to capture revenue from smart speaker device sales appear to be struggling. Will Smart Displays Follow Similar Trends? A key outstanding question is whether smart displays will demonstrate sales trends similar to smart speakers and offer the industry an added boost. Last year, there were only two models available, both from Amazon. U.S. Consumers in 2018 have at least eight devices from five different manufacturers to choose from with one more on the way. Voicebot found in May that only about 6% of smart speaker owners had purchased a smart display. Now that there are more choices, the question will be whether the new device segment will start to grow. It is likely to turn out to be a niche segment for certain use cases and contexts while smart speakers and TVs with voice assistant access command a much higher percentage of voice interactive device sales and usage. What Have We Learned About Pricing? One thing we have learned about pricing is that discounts matter. The largest sales volumes happen when the discounts are prevalent such as on Prime Day and Black Friday. We also can conclude that the sub $30 smart speaker price point is now a solid discounting level. This was tested heavily in 2017 and it is back in 2018 because retailers and device makers know it works in the value segment of the market. The premium smart speaker segment is another matter. List pricing ranges from around $200 – $2,000 with most devices falling in the $250 – $400 range. Discounts tend to range from 20% to 50% but often land on the $50 or $100 increment. The market data from this segment in 2017 was limited so 2018 remains a year of experimentation on what will drive consumer demand. Finally, smart displays now have list prices ranging from $150 – $400. Discounts have brought these down to as low as $100 in three instances, but the majority of devices maintain a $179+ threshold. Retailers and device makers aside from Amazon still have little understanding of the consumer price dynamics for this category so expect to see a lot more fluctuation over the next year.